Assault Android Cactus (PC) Review - Game Reviews | Squackle.com! The Funniest Site on the Net! And your fans will run, they’ll run so far away!!! 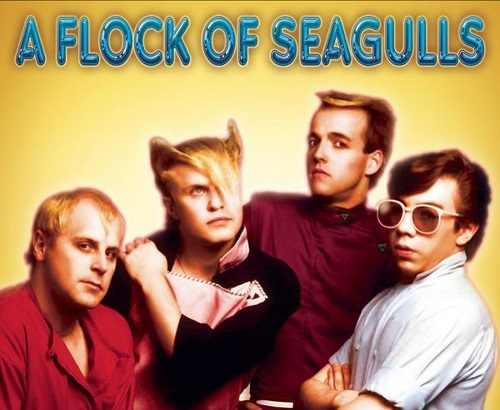 They’ll run, they’ll run all night and day!!! You are not gonna get paid!!! The first impression for rookie game developer Witch Beam, Assault Android Cactus is the first love child created by that three person team. Describing itself as a “Twin Stick Arena Shooter,” it is probably better described as the natural evolution of a Bullet Hell Shooter, and a very well regarded one at that. Already having made a good enough showing at a few expos to come out with an award or two, this long-in-development game has quite the reputation to live up to. 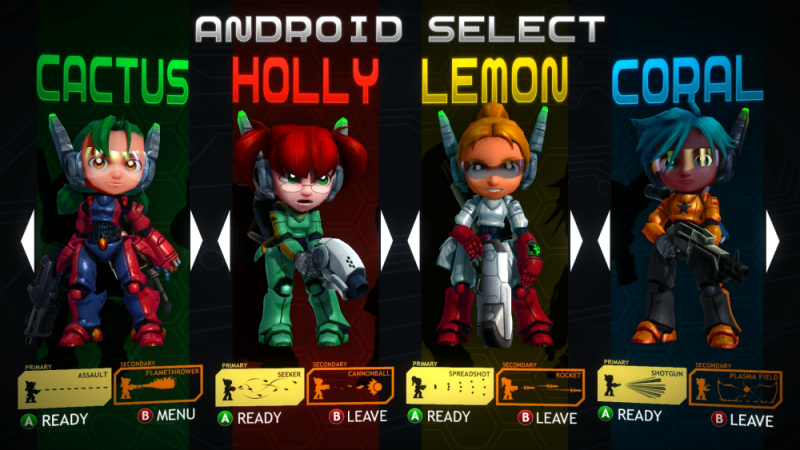 But can Assault Android Cactus live up to all those high accola… oh, who am I kidding? If you read that first paragraph of flavor text you already have a good impression of what I think about this game. 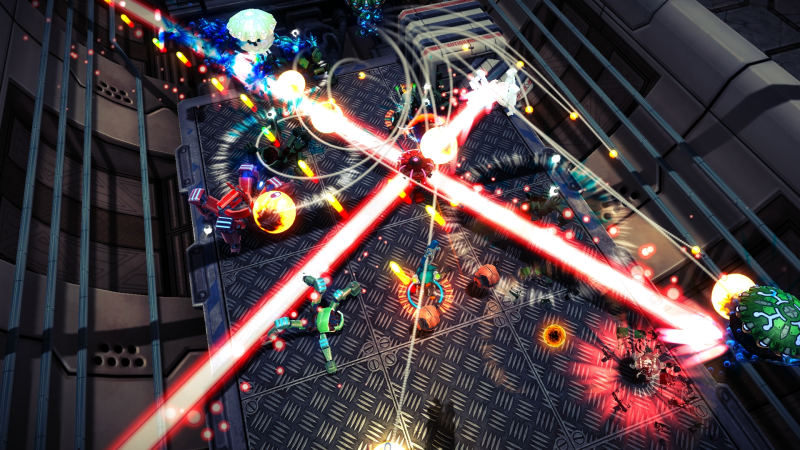 As mentioned, Assault Android Cactus is the natural evolution of a Bullet Hell Shooter. The genre is usually characterized by the sheer amount of enemies and harmful projectiles that are present on screen, so much so, that they are often also called “Carpet Shooter.” The screen is often “carpeted” with enemies and projectiles that you must skillfully maneuver through while destroying any other living thing on screen. This also aptly describes this title’s core gameplay and is something that it does really well. Each level a familiar dance of dodging and shooting that the genre is known for. And while overwhelming at first, it strikes a near-perfect balance of those features. It’s often a great pleasure to start with a screen full of enemies only to surely wipe them out by level’s end. secondary fire gives you a short second of invulnerability. Not content with merely giving Bullet Hell Shooters a 3D facelift, Assault Android Cactus also provide it own special innovations to make it pop out from all of the others. Unlike its 2D forefathers, the game takes an isometric view of the battlefield instead of a top-down approach. It is often a benefit since it gives you a clear perspective of the stage’s obstacles and the much needed cover that are spread throughout a level’s map. Also, unlike most in the genre, the game gives the player a full 360-degrees of shooting action allowing them to shoot up, down or any direction at will. A mechanic that comes in handy since the enemies can appear anywhere on the screen. They are no longer bound to coming in from the screens edges, and will often try to blindside you to tick away at the precious time you have left. That wasn’t a typo. In probably the most major departure from regular Bullet Hell Shooters, there is a slowly draining battery on top of the screen that serves as ticking time bomb for your own personal destruction. So instead of focusing solely on remaining unharmed, the player has to keep a constant pace of enemy death and destruction so that they can drop a battery pack to refill the battery bar on top. This makes Assault Android Cactus more of a struggle in time management than a simple task of survival set on a spaceship full of rogue robots. The story in Assault Android Cactus is really nothing to write home about. Though the uninspired sci-fi tale of a few androids rescuing a spaceship from a robot uprising is easily offset by its cast of colorful characters. Each android in Assault Android Cactus has a clear and often charming persona that adds a layer of personality to the game. Taking into account their personal battle quips and that each character has different dialogue when meeting a boss, the characters would seem at home in any number of entertaining Saturday morning cartoon programs (if that were still a thing). You’ll encounter characters like Cactus, who is a shoot-first-ask-questions-later sorta gal (android?) or the psychopathic man-child that is Starch and her freakin’ game-winning laser beam of death. In all, their different personalities are a fun addition to game’s solid gameplay and, thankfully, the differences don’t stop there. Just like their personalities, each android is outfitted with a different primary and secondary weapon. They often play off of each other to give each android a unique strategy for dealing with the rogue robot ruffians (alliteration!) that have taken over the spaceship. 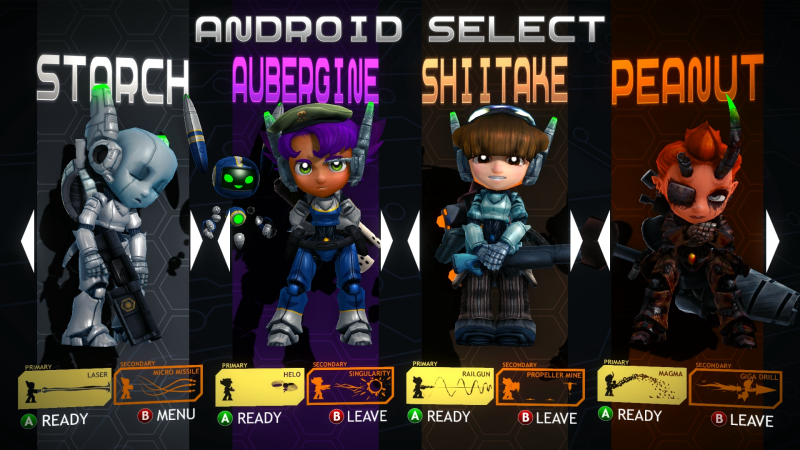 Whether it be Coral’s in-your-face style of combining a combat shotgun with a plasma shield that reflects projectiles and enemies, Shiitake’s slow-but-powerful railgun and mine combo, or Cactus’ middle-of-the-road style that combines an assault rifle with a flamethrower making her effective at any range, there’s plenty of fun in seeing what makes these combinations work. Thankfully, switching between these characters is also a very simple task thanks to the equally simple controls. … except for Starch who is a cheating cheater who cheats. You only really require two buttons and two analog sticks on a controller. Your primary and secondary weapons are assigned to the two buttons, and the sticks control your movement and aiming. Playing with a keyboard and mouse isn’t that much harder since the WASD keys control your movement and your mouse controls the aim, leaving the left and right mouse buttons to control your primary and secondary weapons respectively. This all leads to a very intuitive set up that doesn’t really take all too long to get down and responds well on screen. The graphics and music of Assault Android Cactus aren’t all that spectacular but are effective for this sort of game. There wasn’t any noticeable screen tear, or any noteworthy hiccups to complain about. The same could be said for the music, a nice and effective beat that compliments the game’s sci-fi setting to a decent degree. Though nothing truly spectacular can be said on both counts, by no means did they do a bad job on either front and that’s especially good to know considering that you’ll probably play this more than once. There is a ton of replayability even after you have finished the single player campaign. The multiplayer is its own bag of awesome with an increase in both manpower and firepower on the enemy’s side. Once done with that, the game offers the usual-but-welcomed smatterings of game modes to keep you hooked, from the obligatory boss rush mode to the customary survival mode, the game even throws in a different daily challenge through their “Daily Drive” mode to keep things fresh. Though, the most interesting bit of extended play is in the several EX(tra) options that are available, each affecting the game in a major or minor way. Some are so game-changing that I don’t even want to spoil what they can do for you. Everything I said about the game so far has been positive, but if I were being a little nitpicky sad-sack there are a few complaints. 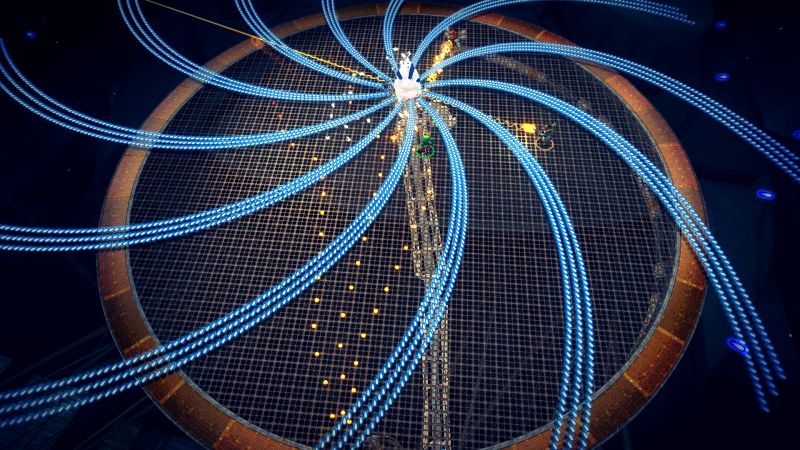 While playing in multiplayer the action can get so hectic that a player can be left off-screen during the chaos and left to the dangers of projectiles and enemies they cannot see. The isometric view of the camera can do a similar job by obscuring the view of your character around large enemies or objects. Lastly, multiplayer is only available via local co-op, meaning you can only enjoy the multiplayer with a group of IRL friends. Despite that, IRL friends are useful for dealing with stuff like this. So there it is. I only needed a single small paragraph to tell you what this game does wrong but it took me almost the whole review to tell you what this game does right. If that doesn’t show you how good of a first impression this game gave me, I don’t know what else will. The full version of Assault Android Cactus will be released the 23rd of September and deserves all of the praise it gets.